The director of the U.S. Occupational Safety & Health Administration, David Michaels said he would be the “first to admit” that the system currently in place to protect workers from air quality issues on the job is effectively broken. On the one hand, our Boston workers’ compensation lawyers find it a bit refreshing to hear some honesty regarding some of the deplorable conditions that continue to exist for American employees, despite all of the funding we spend on regulation. On the other hand, this confession is deeply troubling because it means that clearly, more needs to be done to protect workers from the kinds of hazards that are posing substantial risk. A recent story by The New York Times reveals that when it comes to workplace air quality standards, our business sector’s track record is abysmal. Part of the reason is that it’s considered a long-term threat. It’s generally less dramatic in that the effects of such ailments take years to manifest. Most of the money OSHA spends is funneled into a quick response effort regarding dangers that are in the present, even though those slow, silent killers – asbestos, glue fumes, arsenic and lead – claim far more lives. The agency has penned workplace safety standards for a total of 16 dangerous substances and chemicals used regularly in workplaces. But we must consider that there are literally tens of thousands of dangerous substances that workers in this country handle each and every day. Who is policing that? Usually, the employers. When that happens, there will almost inevitably be lapses in oversight and efforts to undercut safety measures in favor of bottom line profits. A clear-cut example of this are numerous workplaces and plants that use a dangerous chemical called nPB, or n-propyl bromide. Tens of thousands of workers in manufacturing industries such as high-tech electronics, dry cleaning and auto body have come in contact with this chemical. What’s especially troubling is that even though chemical companies and government officials have warned that long-term exposure to nPB has the propensity to cause infertility and neurological damage, companies aren’t doing enough to shield workers from these hazards. In fact, use of this substance has gone up by more than 15 times what it was just six years ago. In the case of a furniture manufacturer in North Carolina, the chemical was used in spray gluing guns. Ventilation was reportedly poor. 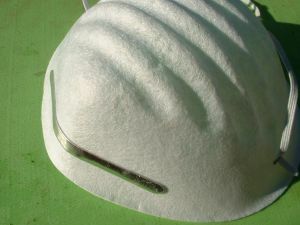 Yet even when workers began to fall ill, and even after federal officials determined that the levels of nPB exposure weren’t safe, the company allegedly failed to provide respirators and fans meant to vent fumes were still turned off, to save on electricity costs. The company has said that alternatives to nPB aren’t any safer and in some cases, are more dangerous. Toxic air on the job is accountable for a host of chronic ailments that affect some 200,000 workers in the U.S. every year. Those include mesothelioma, stonecutter’s disease, asbestosis, black lung, pneumoconiosis and grinder’s rot. To put this into perspective, about 40,000 people in this country every year die before their time because of their exposure to dangerous substances at work. That is 10 times the number of workers who die in mine collapses or refinery explosions or other similar instances that garner far more public attention.